Healthy Eating Active Living: Mapping Attributes using Participatory Photographic Surveys, or HEAL MAPPSTM, is a community-based research process that uses photography, GPS and GIS technology, and residents’ voiced perceptions to address food access, healthy eating, and physical activity. Coordination involves working with community partners, local extension offices, and campus faculty to plan, implement, and evaluate HEAL MAPPS. HEAL MAPPS engages people in community‐based participatory research (CBPR) to accomplish two objectives: (1) document attributes of the community environment that are perceived by residents to be supportive or inhibitive of healthy eating, and (2) assess local resources and readiness to implement community‐level strategies to address healthy food access and food insecurity among children and families. MAPPS connects people with place and provides immediate benefits to the community. MAPPS is an effective engagement, assessment, and action tool that can be applied to a variety of public health problems where understanding how the interaction of people and place is essential to developing locally relevant solutions. In suburban West Chester, Ohio, residents of a low income-housing complex participated in HEAL MAPPS. 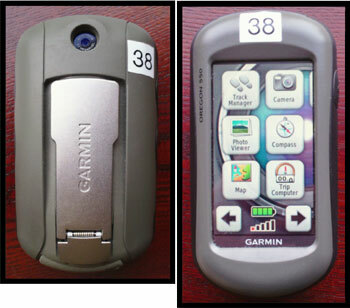 Youth and adult mappers were provided GPS/camera units to photograph features or situations that they perceived to be inhibitive or supportive of healthy food access. 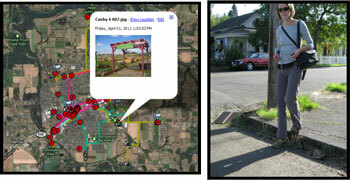 The OSU research team and mappers developed a presentation for the community using the geocoded routes and photographs in order to facilitate dialogue. The result of this HEAL MAPPS engagement process is a Community action plan and story map for raising the awareness of food insecurity and health food access in the West Chester community. HEAL MAPPS is made possible through a partnership between OSU Extension and the Kirwan Institute for the Study of Race and Ethnicity at The Ohio State University. Ohio State’s HEAL MAPPS team is comprised of Program Supervisor Dan Remley, Family and Consumer Sciences field specialist, Coordinator Karima Samadi, Kirwan Institute program manger, and Glennon Sweeney, research associate. Additionally, community partners include Kevin Harris, OSU Extension Butler County, Cari Wynne, Butler County Educational Service Center, and Lakota Public Schools. For details regarding Ohio State’s HEAL MAPPS program, contact Samadi at samadi.2@osu.edu or visit go.osu.edu/BeSZ for the Butler County Story Map.